Giovanna d’Arco: dramma lirico in quattro parti da rappresentarsi nel regio Teatro il carnovale del 1845-46, alla presenza delle LL. SS. RR. MM. Torino: Tipografia dei fratelli Favale, . An early edition of the libretto, published with two ballet scenarios by Luigi Astolfi: Alma, ossia, La figlia del fuoco and Il consiglio di Recluta. Il finto Stanislao: melodramma giocoso in due atti / de Felice Romani; posto in musica dal maestro Giuseppe Verdi; riduzione per canto con accompagnamento di pianoforte dei L. Truzzi, A. Rajneri e C. Dominiceti. Milano: G. Ricordi, . The first complete edition of the vocal score. After one performance at La Scala in 1840, with the title Un Giorno di Regno, Il Finto Stanislao was next produced in 1845 in Venice. Attila : dramma lirico in tre atti con prologo / poesia di T. Solera ; musica di Gius. Verdi ; canto con accompto. di piano forte. [1st ed.]. Milano : F. Lucca, . 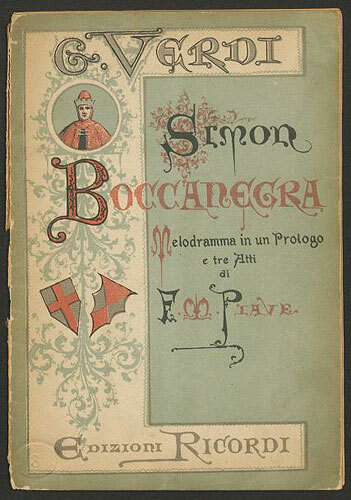 The first complete edition of the first version, premiered at La Fenice in 1846. L’assedio di Arlem: tragedia lirica in quattro atti / posta in musica del maestro Giuseppe Verdi; riduzione per canto con accomp. di pianoforte di E. Muzio. Milano: G. Ricordi, . 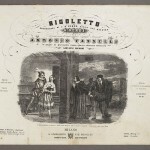 Rigoletto : melodramma di F.M. Piave ; musica del maestro G. Verdi ; riduzioni per canto con accomp. di pfte. di Luigi Truzzi. Milano : G. Ricordi, . A variant of the first complete edition, not listed in Hopkinson. Un ballo in maschera : melodramma tragico in tre atti / musica di G. Verdi ; riduzione per canto e pianoforte di Luigi ed Alessandro Truzzi. Milan : Ricordi, . An early edition of the vocal score, not listed in Hopkinson. 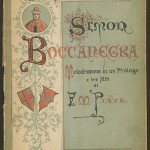 Simon Boccanegra : melodramma in un prologo e tre atti / di F. M. Piave ; musica di G. Verdi. Milano : R. Stabilimento Ricordi, . 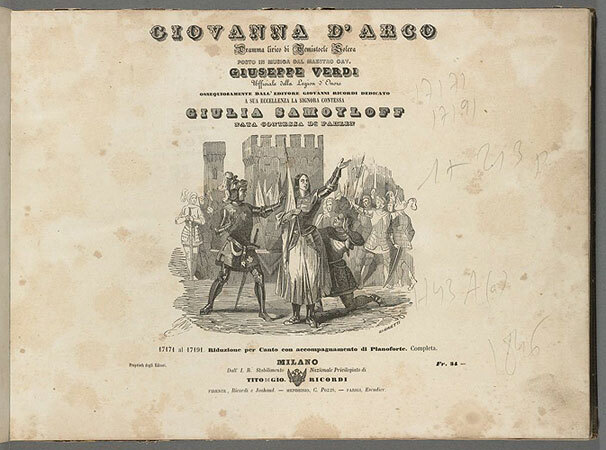 The first edition of the revised version of the libretto, from the La Scala staging of 1880-1881. 1. For more information about the composition and publication of L’Assedio di Arlem, see Cecil Hopkinson, A Bibliography of the Works of Giuseppe Verdi, 1813-1901 (New York: Broude Brothers, 1973-1978) and Roger Parker, “La Battaglia di Legnano“, in The New Grove Dictionary of Opera, ed. Stanley Sadie, Grove Music Online. Oxford Music Online (access restricted to Harvard affiliates). Hopkinson 40A(a): though not dated, this first complete edition was probably printed in June of 1843. The hugely successful I Lombardi premiered at La Scala on February 11, 1843, with Erminia Frezzolini in the prima donna role of Giselda. Hopkinson 41A(c): a variant of the first complete edition, advertised for publication by Ricordi in August of 1844. 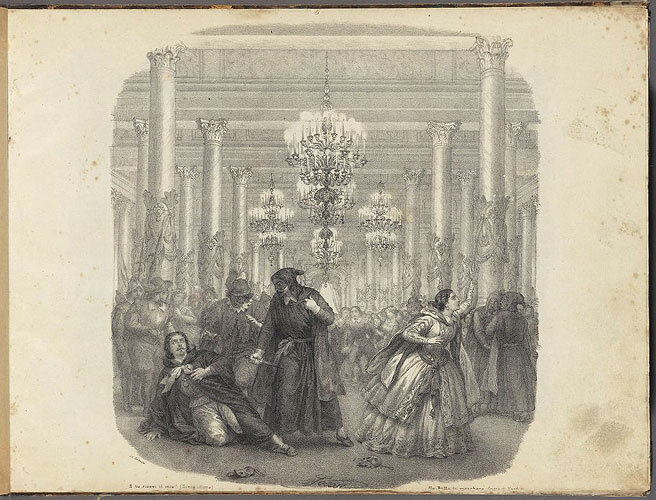 The first of Verdi’s operas to premiere at a house other than La Scala, Ernani opened at La Fenice on March 9th, 1844. 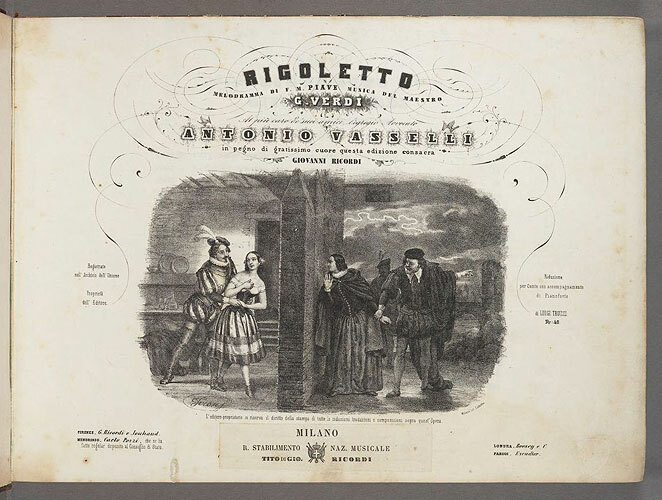 Hopkinson 42B(a): the first complete edition of the opera, premiered November 3, 1844, at the Teatro Argentina. Censors rejected Verdi’s original proposal for his first Roman premiere, an opera on the life of Lorenzino de Medici. He substituted instead I due Foscari, with a libretto by Piave based on Byron’s The Two Foscari, a subject which itself had been turned down by La Fenice, in part for its unflattering portrayal of the Venetian Republic. Hopkinson 43A(c): The last of Verdi’s five operas composed for Milan’s La Scala, premiered February 15, 1845. A variant of the first complete edition. Hopkinson 49A(e), a variant of the first complete edition. 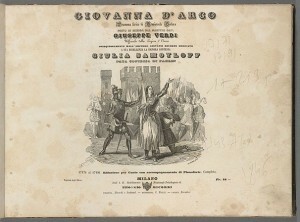 Disputes over the rights to Giovanna d’Arco led Verdi to avoid productions at La Scala for over twenty years, and to publish his next three operas with Lucca, rather than Ricordi. 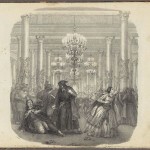 Il Corsaro, which premiered at the Teatro Grande in Trieste on October 25, 1848, was the last work Verdi wrote while under contract to Lucca, and by all accounts it was not a success. One life-and-works article published in 1856, after several revivals, calls the opera “a solemn failure” (Giuseppe Verdi, The Musical World, 34:84 (Nov 29, 1856), p. 758). Hopkinson, Cecil. A Bibliography of the Works of Giuseppe Verdi, 1813-1901. New York: Broude Brothers, 1973-1978. Loewenberg, Alfred. Annals of Opera, 1597-1940. 3rd ed. Totowa, N.J.: Rowman and Littlefield, 1978.